Thank you to the Tippecanoe County Area Genealogical Society in West Lafayette! They donated $500 to our War of 1812 Match Challenge, in which we donated $2,016 to the effort to digitize the War of 1812 pension files. Part of the Indiana Territory's history in the War of 1812 centered around Tippecanoe County, with the Battle of Tippecanoe in 1811 occurring near present-day Lafayette. Thank you to the Allen County Genealogical Society of Indiana in Fort Wayne - the Indiana Genealogical Society's first chapter, they donated $1,816 to our War of 1812 Match Challenge, in which we donated $2,016 to the effort to digitize the War of 1812 pension files. 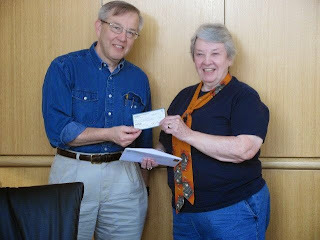 But in recognition of the Allen County Genealogical Society of Indiana's incredible generosity, the Indiana Genealogical Society decided to donate an ADDITIONAL $2,016 to the digitizing effort! The Elkhart County Genealogical Society will meet on Thursday, November 20 at 7 pm at the First Presbyterian Church un Elkhart (200 E. Beardsley, Elkhart, IN). 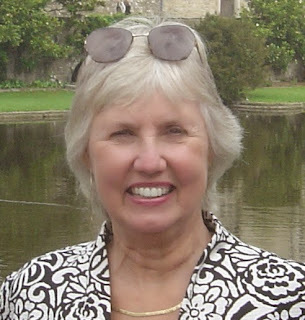 Carlene Willings will demonstrate how to use the Elkhart County Genealogical Society website and what it has to offer. She will also talk about plans for the site and how everyone can help. The meeting is free and open to the public. The Indiana Genealogical Society now has 1,395 databases in the Members Only area. Each of Indiana's 92 counties has at least 5 databases. The Hamilton East Public Library in Noblesville will hold a computer workshop on how to use Fold3 (military records) and AmericanAncestors.org (New England Historic Genealogical Society) on Wednesday, November 19 from 9:30 am to noon in the library's computer training lab. In this "hands-on" workshop, you will learn how to effectively search the databases in Fold3 and AmericanAncestors.org. Bring information on your ancestors - you will have time to do your own research. LEU credits are available for Indiana librarians. The Indiana Genealogical Society now has 1,392 databases in the Members Only area. Each of Indiana's 92 counties has at least 5 databases. The Genealogy Special Interest Group (GENSIG) will meet on Saturday, November 8 at 10 am at the Goshen Public Library (601 S. 5th St., Goshen IN 46526) in Elkhart County. For more information, please contact Young Snodgrass (young.snodgrass@frontier.com). The Indiana Genealogical Society now has 1,391 databases in the Members Only area. Each of Indiana's 92 counties has at least 5 databases. The Hamilton East Public Library in Noblesville will hold a genealogy workshop on Saturday, November 15 from 9:30 am to 12:30 pm in the library's genealogy classroom. The workshop will focus on how to publish your family history. Ancestry.com's MyCanvas service and other online book publishers will be discussed. The Elkhart County Historical Museum (304 W. Vistula St., Bristol, IN) will hold a program on the care of family heirlooms on Saturday, November 8 at 10 am. Liz Fisher, Curator of Collections, will share information on how to preserve and display cherished heirlooms. She'll also provide tips on how to properly care for these items. The cost to attend is $4 per person. The Indiana Genealogical Society now has 1,390 databases in the Members Only area. Each of Indiana's 92 counties has at least 5 databases. The Local & Family History Center of the St. Joseph County Public Library in South Bend (304 S. Main Street, South Bend, IN 46601) will hold a genealogy roundtable on Thursday, November 6 at noon. Bring a bag lunch, your questions and have fun - beginners and experienced researchers are welcome. Call (574) 282-4621 for more information. The Jasper Public Library in Dubois County will hold a free class on using Google for genealogy on Thursday, October 30 from 6 to 7:30 pm in the Library Annex. Genealogist Kathy Mott will discuss the various resources available on Google and how you can use them to further your genealogy research. This class is free and open to all skill levels - registration is required. Register online through the library's calendar of events or contact the library - phone (812) 482-2712. The Hamilton East Public Library in Noblesville will hold a genealogy roundtable on Tuesday, November 11 from 2:15 to 3:15 pm in the library's genealogy classroom. Chandler Lightly, the Digital Newspaper Program Project Manager at the Indiana State Library, will discuss the Indiana Memory Project and the newspapers that have been digitized so far. Dr. Timothy Willig, Assistant Professor of History at Indiana University at South Bend, will present a program, "The War of 1812 in the Old Northwest," on Saturday, November 1 from 1 to 2 pm in the Lion's Room of the Mishawaka Library (209 Lincoln Way East Mishawaka IN 46544). The War of 1812 stands as a watershed period in the history of the Old Northwest, an epoch in which Native peoples of northern Indiana, Illinois, Michigan, and Wisconsin exercised a significant degree of political autonomy for the final time. This is a free program - for more information, contact the Heritage Center - phone (574) 259-5277 ext. 215. The Indiana Genealogical Society now has 1,389 databases in the Members Only area. Each of Indiana's 92 counties has at least 5 databases. The Indiana History Center in Indianapolis will host a workshop for adults, "Growing Little Leaves: Teaching Children Genealogy Basics," on Saturday, December 7 from 1 to 3 pm. Emily Kowalski Schroeder will show adults how to teach their children and grandchildren about genealogy concepts using activities. Registration is $5 for IHS members, $8 for non-members. Indiana librarians can receive 1 general LEU credit for attending. Register online, or call (317) 232-1882. This is a premium database, accessible only to IGS members. It was contributed by Randi Richardson. The Indiana Genealogical Society now has 1,387 databases in the Members Only area. Each of Indiana's 92 counties has at least 5 databases. This is a free database - no membership is required to view it. It was contributed by Randi Richardson. The Indiana Genealogical Society now has 1,386 databases in the Members Only area. Each of Indiana's 92 counties has at least 5 databases. For more information, please visit http://www.rootsweb.ancestry.com/~insigs/nextmeet.htm. Does anyone have any data on William Henderson found in the Territorial Papers Vol. VIII 1810-1816 on Page 13. I need to know about this family. Thanks. The LaPorte County, Indiana Genealogical Society will meet on Tuesday, November 11 at 7 pm at the LaPorte Parks Department Headquarters (250 Pine Lake Ave., LaPorte IN). In honor of Veterans Day, genealogist and author Patricia Gruse Harris will present a program on the various military symbols found in cemeteries and how to obtain information on an ancestor's military service. IGS War of 1812 Match Challenge Reaches Goal! Thank you to all who contributed in our match challenge to help the Federation of Genealogical Societies in their digitizing of War of 1812 pensions! We have reached our goal of $1,816 (in honor of the year of Indiana statehood), so the Indiana Genealogical Society has matched that with another $2,016 (in honor of the year of Indiana's bicentennial). After matches by the Illinois State Genealogical Society, the Federation of Genealogical Societies and Ancestry.com, that will end up being $30,656. --Thomas McKee of Virginia - he donated in honor of his 4th great-grandfather, Robert Haynes, who served as a private in Col. Cheatam's regiment in Tennessee. --Sheryl (Robertson) Smith of Missouri - she donated in memory of her 4th-great-grandfather, Noah Bridwell. And then there were donors like DNA blogger Roberta Estes of Michigan, who celebrated being given a "Rockstar Genealogist" award by donating to her home state of Indiana. The Jasper Public Library in Dubois County will hold a free class on using the Periodical Source Index (PERSI) on Thursday, October 23 from 6 to 7:30 pm in the Library Annex. Genealogist Kathy Mott will demonstrate and discuss the various materials that are referenced in the index, and how to access them to further your research. The Genealogy Center of the Allen County Public Library in Fort Wayne will have a 2-part computer class by Kay Spears on using Adobe Elements software to digitally restore old photographs. Part 1 will be held on Monday, November 3 from 6:30 to 8:30 pm in the library's computer classroom; part 2 will be held on Monday, November 10 from 6:30 to 8:30 pm. Bring copies of your photos on a USB/flash drive to work on during the classes. The classes are free but registration is required - to register, e-mail Genealogy@ACPL.Info or phone (260) 421-1225. There are now 1,004 digital files of Hendricks County probate records online. These files are free to the public and are part of our Records Preservation Project. We are more than 95% finished with the unfolding and organizing of the probate records, which is the first step to them being digitized. The Northwest Indiana Genealogical Society will meet on Saturday, November 14 at 10 am at the Crown Point Public Library (122 N. Main St., Crown Point IN). Juliana Szucs Smith will present a program on passenger arrival records and border crossings, discussing ways to find your ancestors when they came to America. The Indiana Genealogical Society now has 1,385 databases in the Members Only area. Each of Indiana's 92 counties has at least 5 databases. The Indiana Genealogical Society now has 1,384 databases in the Members Only area. Each of Indiana's 92 counties has at least 5 databases. NOTE: This database only has information on the students in the class of 1942. The Indiana Genealogical Society now has 1,383 databases in the Members Only area. Each of Indiana's 92 counties has at least 5 databases. The Indiana Genealogical Society now has 1,382 databases in the Members Only area. Each of Indiana's 92 counties has at least 5 databases. The Indiana Genealogical Society now has 1,381 databases in the Members Only area. Each of Indiana's 92 counties has at least 5 databases. The Indiana Genealogical Society now has 1,380 databases in the Members Only area. Each of Indiana's 92 counties has at least 5 databases. The Indiana Genealogical Society needs the assistance of 2-3 member volunteers to staff the IGS display table at the Indiana State Library Genealogy Fair on Saturday, October 25. Volunteers will set up and take down the table displays, answer questions from attendees, and pass out IGS literature of various types. Four-hour shifts are preferable, but two-hour sets are possible. Interested volunteers should contact Corresponding Secretary Ron Darrah at rdarrah@att.net or call 317-594-9786. IGS appreciates your help. The Indiana Genealogical Society now has 1,376 databases in the Members Only area. Each of Indiana's 92 counties has at least 5 databases. The Indiana Genealogical Society now has 1,375 databases in the Members Only area. Each of Indiana's 92 counties has at least 5 databases. The Indiana Genealogical Society now has 1,374 databases in the Members Only area. Each of Indiana's 92 counties has at least 5 databases. The Indiana Genealogical Society's match challenge for the digitizing of War of 1812 pension files is at 85%. Thank you to all who are contributing! This match challenge seeks to raise $1,816 in donations (in honor of 1816, the year of Indiana statehood) - when we reach $1,816, IGS will match that with another $2,016 (in honor of the year of Indiana's bicentennial). Thanks to the participation of other organizations, that $3,832 will end up being $30,656 - enough to digitize some 60,000 pages of documents. The Indiana Genealogical Society now has 1,372 databases in the Members Only area. Each of Indiana's 92 counties has at least 5 databases. The Jasper Public Library in Dubois County will hold a free class on using Ancestry.com on Thursday, October 16 from 6 to 7:30 pm in the Library Annex. Genealogist Kathy Mott will demonstrate and discuss the various features on Ancestry.com and how to use them effectively in your genealogy research. The Indiana Genealogical Society now has 1,371 databases in the Members Only area. Each of Indiana's 92 counties has at least 5 databases. The Indiana Genealogical Society now has 1,370 databases in the Members Only area. Each of Indiana's 92 counties has at least 5 databases. The Indiana Genealogical Society now has 1,369 databases in the Members Only area. Each of Indiana's 92 counties has at least 5 databases. The Indiana Genealogical Society now has 1,368 databases in the Members Only area. Each of Indiana's 92 counties has at least 5 databases. The Indiana Genealogical Society's match challenge for the digitizing of War of 1812 pension files has reached 65%. Thank you to all who are contributing! This match challenge seeks to raise $1,816 in donations (in honor of 1816, the year of Indiana statehood) - when we reach $1,816, IGS will match that with another $2,016 (in honor of the year of Indiana's bicentennial). Thanks to the participation of other organizations, that $3,832 will end up being $30,656 - enough to digitize some 60,000 pages of documents. I am an adoptee searching for the marriage record for my mother. My adoption decree lists the marriage of Betty and James Murrin on May 26, 1950. (I was born in Oct 1950) I have contacted several counties surrounding my county of birth to no avail. Is there a way to look for marriage records other than county by county? The Indiana Genealogical Society now has 1,367 databases in the Members Only area. Each of Indiana's 92 counties has at least 5 databases. A group of genealogists is seeking donations to help them in their lawsuit against the Howard County Health Department, which aims to gain access to Howard County's vital records. The money that is raised will go toward defraying the cost of attorney fees; if the lawsuit is successful, the money that was raised will then be given to a local historical organization. The Indiana Genealogical Society now has 1,366 databases in the Members Only area. Each of Indiana's 92 counties has at least 5 databases. The Indiana Genealogical Society now has 1,365 databases in the Members Only area. Each of Indiana's 92 counties has at least 5 databases. The Plainfield-Guilford Township Public Library in Hendricks County will offer a hands-on demonstration of how to use Ancestry.com on Monday, October 13 from 6 to 8:15 pm in the library's lobby conference room. Using the library's laptops, Indiana Room Manager Reann Poray will show you tips and tricks for the most effective ways to search the millions of genealogy databases on Ancestry.com. This is a free class but seating is limited and registration is required - register online using the library's events calendar, or contact the library's Indiana Room - phone (317) 839-6602 extension 2114; e-mail askindiana@plainfieldlibrary.net. The Jasper Public Library in Dubois County will hold a free class on using the FamilySearch website on Thursday, October 9 from 6 to 7:30 pm in the Library Annex. Genealogist Kathy Mott will demonstrate and discuss the various features on FamilySearch.org and how to use them effectively in your genealogy research. NOTE: Indiana Central University later became the University of Indianapolis. The Indiana Genealogical Society now has 1,364 databases in the Members Only area. Each of Indiana's 92 counties has at least 5 databases. Twigs from the Tree of Life, a genealogy group, will meet on Tuesday, October 28 at 7 pm at Christ the King Lutheran Church in South Bend (17195 Cleveland Rd., South Bend, IN 46635). Instructor Lisa Ellam (ellam.lisa@gmail.com) will discuss what you can do if you only have 5 minutes free to do some genealogy searching. The meeting is free and open to the public. I recently visited the Hamilton County East Library in search of information about the death of my 2nd great grandfather George Lafary. I believe he died in the summer of 1880. He appears in the 1880 Census with his name crossed out and 'deceased' written. It may be he died between the date of the census and the date it was submitted. Since deaths were not recorded before 1882 I could not find a record. The library staff could not find any records to help determine an exact date or cause of death. We looked at the microfiche newspapers and cemetery records. If anyone researching Hamilton County, near the village of Atlanta, has information about George Lafary, presumed died in Jackson Township in the summer of 1880, I would appreciate hearing from them. Regards. The Mishawaka Public Library (209 Lincolnway E., Mishawaka IN 46544) in St. Joseph County will hold a genealogy roundtable on Thursday, October 23 at 6:30 pm. Beginners and experienced researchers alike are welcome to come chat about their family history research. For more information, please contact Deanna Juday (d.juday@mphpl.org). The South Bend Area Genealogical Society will hold their annual dinner on Monday, October 27 at 7 pm at the Sunnyside Presbyterian Church in South Bend (115 S. Francis St., South Bend IN). Jim Nelson, who holds a PhD in Scandinavian studies, will present a program about the history of Swedish immigration to Indiana and Michiana. A Swedish dinner will be served prior to the program - the dinner is $15 per person and reservations are required. To make reservations, please contact Eric Craig - annualdinner@sbags.org or phone (574) 232-0327. The Indiana Genealogical Society now has 1,361 databases in the Members Only area. Each of Indiana's 92 counties has at least 5 databases. Looking for info on William Frazier in Putnam County. William Frazier and wife Elizabeth, both born 1800 KY, came to Putnam County about 1828. Known children: Elizabeth born 1826 KY; Granville born 1829 IN; Mary Sina born 1838 IN; George born 1839 IN; Genneta born 1840 IN. William was known to spell his name Frazer, possibly because of another Wm Frazier in the area. Elizabeth, whose son became a noted KS person, stated she spent her early years in Greencastle. In 1850, William is listed with family in Clinton, Vermillion Co, IN. There is also another Wm Frazier in the same area. The Fraziers who originally come from SC or NC are not related. I'm looking for any additional information of him or additional children. Thanks in advance. The Elkhart County Genealogical Society will meet on Thursday, October 16 at 7 pm at the First Presbyterian Church in Elkhart (200 E. Beardsley, Elkhart, IN). Frank Fisher, the Elkhart County Historian, will give a presentation on the history of the town of Elkhart and Elkhart County. This meeting is free and open to the public. The Indiana Genealogical Society is offering an extended membership - a new membership purchased from now until December 31, 2014 will not expire until December 31, 2015, thus giving more than 12 months' worth of access to our databases. Extended memberships may be purchased online or by printing out and mailing in our membership form (PDF format). The Indiana Genealogical Society now has 1,360 databases in the Members Only area. Each of Indiana's 92 counties has at least 5 databases. The Genealogy Special Interest Group (GENSIG) will meet on Saturday, October 11 at 10 am at the Goshen Public Library (601 S. 5th St., Goshen IN 46526) in Elkhart County. For more information, please contact Young Snodgrass (young.snodgrass@frontier.com). Articles on the pre-War of 1812 records of the Indiana militia, Indiana marriage laws & resources, a scandal involving a Monroe County school principal in 1925, and the first female Methodist minister are included in the September 2014 issue of Indiana Genealogist, the quarterly publication for members of the Indiana Genealogical Society. The issue can be downloaded by logging into the IGS Records section of the Members Only area. The issue also contains brief records from Adams, Dearborn, Elkhart, Jay, Marion, Posey, Vigo and Wayne counties. NOTE: The issue is available for download in its regular size, as well as in a compressed version for slower Internet connections. The Indiana Genealogical Society now has 1,359 databases in the Members Only area. Each of Indiana's 92 counties has at least 5 databases.